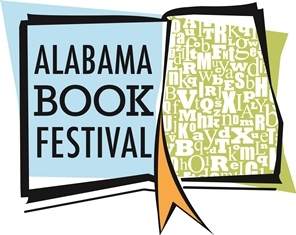 The eighth annual Alabama Book Festival will be held in historic downtown Montgomery at Old Alabama Town on Saturday, April 20, from 10 a.m. to 4 p.m. The free public event is the state’s premier book festival, with more than 4,000 people from around Alabama and the South converging on the capital city to meet and mingle with celebrated authors. This year, the Forum will again host the Poetry Tent, featuring Alabama Poet Laureate Andrew Glaze. Poetry Out Loud champions Sabria White (New Century Technology High School, Madison County) and Bonny Chen (Auburn High School) will recite their award-winning selections. Other scheduled poets include Mitchell Douglas (\blak\ \al-fə bet\), Jeremy Downs (poems. too small to read), Juliana Gray (Roleplay), Derrick Harriell (Cotton), Carolyn Hembree (Skinny), Lita Hooper (Thunder In Her Voice: The Journal of Sojourner Truth), and Barry Marks (Sounding). Harper Lee Award recipient Carolyn Haines (as R.B. Chesterton) and Therese Anne Smith will debut their new novels, The Darkling and Z: A Novel of Zelda Fitzgerald, at this year’s Book Festival. Also debuting is Nothing Fancy About Kathryn & Charlie, an illustrated children’s book in tribute of storyteller Kathryn Tucker Windham and artist Charlie Lucas by mother-daughter team Kerry Madden-Lunsford and Lucy Madden-Lunsford. Among the literary panels, Frye Gaillard and Sena Jeter Naslund will discuss Gaillard’s new collection The Books That Mattered and some of Naslund’s best-known work, including Ahab's Wife and Adam & Eve. Kathleen Driskell (Peck and Pock: A Graphic Poem) and Lila Quintero Weaver (Darkroom: A Memoir in Black and White) will consider graphic literature. Other featured authors include Tim Dorsey (Pineapple Grenade, fiction), Tasia Malakasis (Tasia's Table: Cooking with the Artisan Cheesemaker at Belle Chevre, cookbook); Janet McAdams (Red Weather, fiction); Michael Morris (Man in the Blue Moon, fiction); Robert Moss (Barbecue: The History of an American Institution, food); Sena Jeter Naslund (Adam & Eve), and Alice Randall & Caroline Randall Williams (The Diary of B. B. Bright Possible Princess, children's). Author readings will be followed by book signings, giving attendees the opportunity to purchase books and get to know their favorite writers. The children’s activity area, sponsored by the Montgomery City-County Public Library, will feature storytelling, arts and crafts, and fishing for books. And in keeping with the Year of Alabama Food, there will be plenty of delicious Southern fare. For more information, visit Alabama Book Festival or call 888-240-1850.